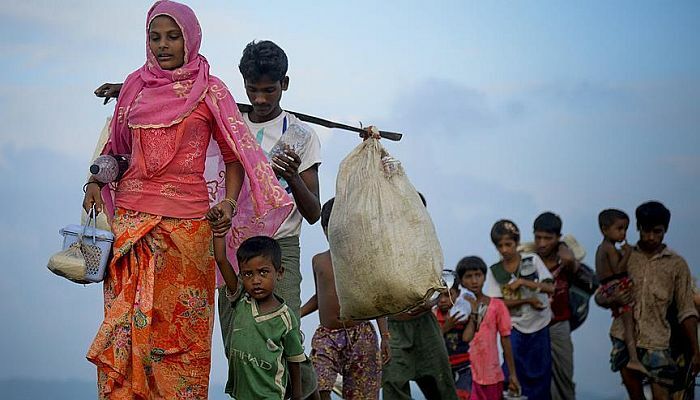 Myanmar's minority Muslim Rohingya refugees told a UN envoy that they are willing to return to Myanmar if their safety and citizenship are provided, according to a UN statement Tuesday. 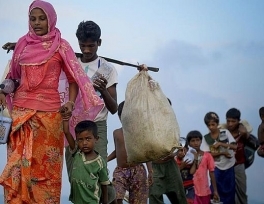 The statement came following the UN Envoy for Myanmar Christine Schraner Burgener's first official visit to the refugee camps in Cox’s Bazar, Bangladesh from July 14 to 16, where more than 750,000 refugees live. "In Cox’s Bazar, she visited the sprawling refugee camps and heard from the people accounts of unimaginable atrocities committed in Rakhine State," the statement noted. "Despite these serious violations of human rights, they expressed to the Envoy their hope to return home if security could be guaranteed and citizenship could be provided," it added. During her discussions on the visit, Burgener also underlined the importance of accountability for the crimes committed by Myanmar forces. Since Aug. 25, 2017, some 750,000 Rohingya, mostly children and women, have fled to neighboring Bangladesh after Myanmar forces began a crackdown on the minority Muslim community, according to Amnesty International. At least 9,400 Rohingya were killed in Myanmar's Rakhine State from Aug. 25 to Sept. 24, 2017, according to Doctors Without Borders. In a report published last December, the global humanitarian group said the deaths of 71.7 percent, or 6,700 Rohingya, were caused by violence. They include 730 children below the age of 5. The Rohingya, described by the UN as the world's most persecuted people, have faced heightened fears of attacks since dozens were killed in communal violence in 2012.